Moscow residents may not have gotten the typical "Indian summer" this September, but they were able to get an idea of what life is like in a rainforest, just not the tropical variety. As of Tuesday, about 174 millimeters of rain had fallen on Moscow, which is equivalent to the monthly average of some of the wetter climates on the planet. The total broke the all-time city record for the month of September, dating back to 1885, when 171 millimeters fell on the capital, Interfax reported. A representative for Moscow's weather service said consistent precipitation records only go back six more years, to 1879. 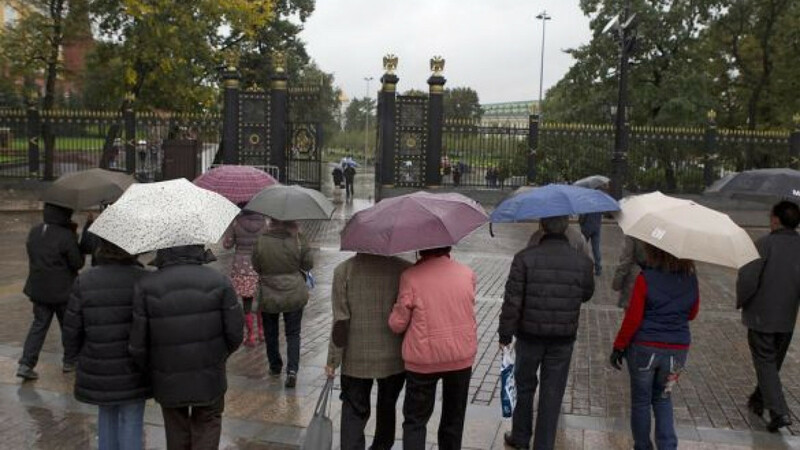 The average rainfall for September in Moscow is 65 millimeters, meaning the total this year is approaching three times the typical amount. There is a chance that it could still reach that mark: More showers are expected Wednesday and Thursday, though they are set to be lighter than the steady rain that fell all weekend and into the beginning of the week. Precipitation is currently forecast for every remaining day this month, but not just the liquid variety. Overnight Friday to Saturday, temperatures are expected to dip below freezing and light snow to fall. Regions outside Moscow have been hit with unusually heavy rains as well and in agricultural areas the wet weather has proved more than just an inconvenience. Grain companies told Interfax on Tuesday that crops have suffered due to excessive precipitation across the Volga Federal District, which includes more than a dozen regions and republics in the Volga River basin.